Evidences that Beyonce beats up Jayz. According to the National Enquirer – it ain’t just Solange that puts hands on Jigga . . . Beyonce does TOO. 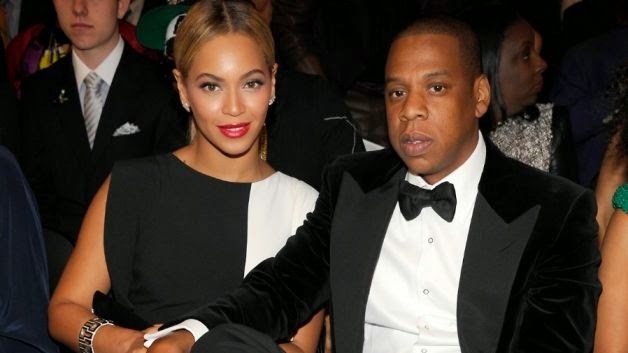 The paper claims that Bey likes to get drunk – and then SLAP FIRE out of her rapper husband. Here is what they are saying: in a shocking claim, Beyonce is alleged to be the physically abusive partner in the relationship, said sources – providing emphatic evidence that she’s spiraling closer to an epic nervous breakdown, as friends fear! In fact, a provocative series of seemingly coded cries for help recently posted on the singer’s social media accounts have prompted some in the know to coyly label them “Beyonce’s breadcrumbs.” In October, she published a photo showing Elizabeth Taylor and Richard Burton locked in a firey embrace. That A-list couple made headlines with their notoriously volatile relationship.